Bookworms in the UK tired of smuggling flashlights to bed might want to take another look at the Nook Simple Touch with Glowlight. After all, you can get one for £49 now that Barnes & Noble has slashed £20 off its retail price -- that's far, far lower than the amount people had to pay at launch. According to the book retailer, you can only snag the device at that price point until current stocks last, so the promo can expire anytime. 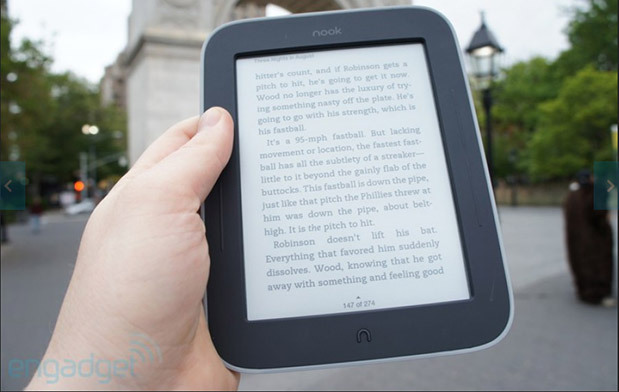 If you're not particularly fond of e-readers, though, feel free to cast your eyes upon the discounted Nook HD and HD+ tablets instead. You can also nab one of those right now, or, you know, throw hints at your personal Santa that you want one for Christmas.